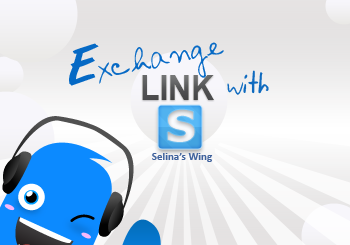 Selina's Wing is a Personal Geek Blog - Food, Travel, Technology, Games, Facebook, Mobile Apps and Online Tips. If you interested to exchange with me, please contact me - here. And please let me know if you change your domain or move to new blog. Thank you. Eatbah - collection of food from Kota Kinabula, Sabah for the food lovers! JomPHP - - Pusat Informasi IT anda! Sharing Caring Malaysia - Sharing with everyone about the events happened in Malaysia. Aida Abd Wahab, Lifestyle/ Beauty Blogger from Malaysia. Malaysia Food - Everything about Food and Travel in Malaysia. Malaysian Federation for the Deaf - bring the voice of Deaf people in dealing with government and serve to all Deaf Malaysian, with their service of sign interpreters. DIB Coffees of Hawaii - 1st Deaf-run Gourmet Coffee chain in Malaysia. DiB stands for? It stands for Deaf in Business. They trained Deaf staffs as Barista.